Every time this season rolls around, what do you think of? I personally get all the good feels from everything floral, sunny, and bright. 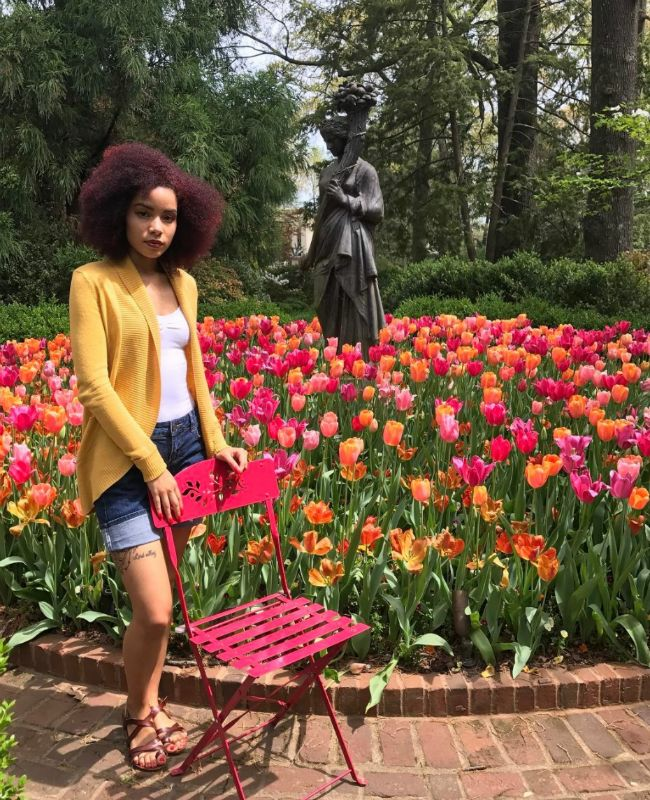 And as if any woman with natural hair isn't beautiful enough on her own -- I mean, just look at our Instagram feed -- these beautiful springtime photos from some of our natural hair faves are just the inspiration we need while at work daydreaming about our next getaway. Afternoon tea at a restaurant made from walls of flowers. Sounds like a plan. In Kamil's own words: "From her womb comes the seed which the world needs; She is life." Have a seat, enjoy the scenery, smell the flowers. When you see a garden too pretty to pass up without taking a selfie. Because having a reason to rock a full-length faux fur coat makes any rainy day enjoyable. When all else fails, find a bright wall that matches your mood (and outfit). Don't be afraid to flaunt your joy. Sundress season with some box braids. Springtime, emulated. BRB, dreaming about feeling the Mexican breeze at Frida Kahlo's house. Self-care Sundays are made for grabbing a good book. Feel the good vibes, and soak the sun. Amazing natural springtime light is the best excuse for a midday cup o' Joe at the dining table. Follow us on Instagram @NaturallyCurly for more curly hair and seasonal inspiration.